If you received the promotional copy please leave a review at Amazon.com thanks. Good or bad, all reviews are important. If you want to leave a private message for me, please do at the contact page. God bless. How God Restores Stolen Dreams. 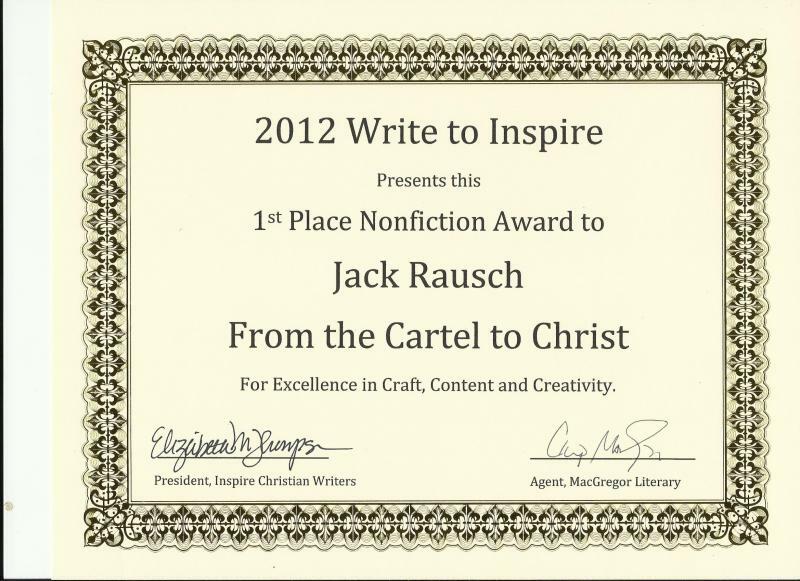 1st Place Nonfiction Award at the 2012 Write to Inspire Conference. Praise and Glory to God! The book is available at:Amazon.com Kindle and Paperback. Cut and paste the link please. Rising from aircraft-loader at the jungle’s clandestine airfields, to a multi-ton cocaine distributor for the Medellín Cartel, turned my pilot’s dream into a nightmare. Abandonment and abuse in my childhood boiled into teenage rebelliousness and disregard for authority, molding me into a cold calculating criminal. As success increased the void in my heart, I embarked on a spiritual journey from New Ageism to Satanism. All collided with reality when I was arrested in Southern California with half a ton of cocaine. Fighting my demons and tormented by unforgivingness, bitterness and pride, I found closure and healing in God’s true love. After a long prison sentence I became a pastor. Through sharing the closure to these common issues, and exposing the lure of shortcuts in life and their consequences, I hope to bring truth and hope to people in similar pahts. I invite my audience to seek God and to enjoy His presence. 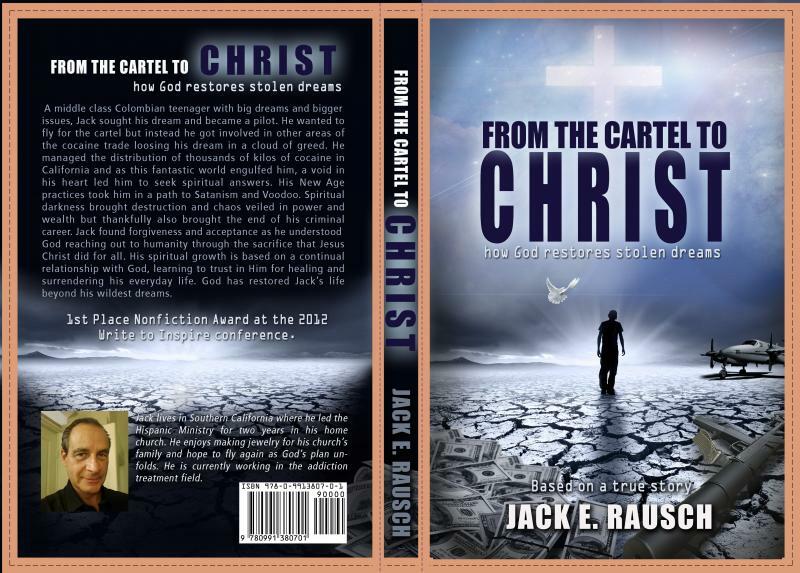 From the Cartel to Christ, My Life in the Cartel and How God Changed It All, unveils an action packed memoir where Scarface meets Blow but with spiritual enlightenment and a happy ending. God is faithful and will complete what He has started. Philippians 1:6 being confident of this very thing, that He who has begun a good work in you and me will complete it until the day of Jesus Christ. Copyright 2009 From the Cartel to Christ a Book. All rights reserved.